Earlier this year, CAP’s Hit the North Community Engagement Project worked with NICRAS, the only refugee led organisation in Northern Ireland. 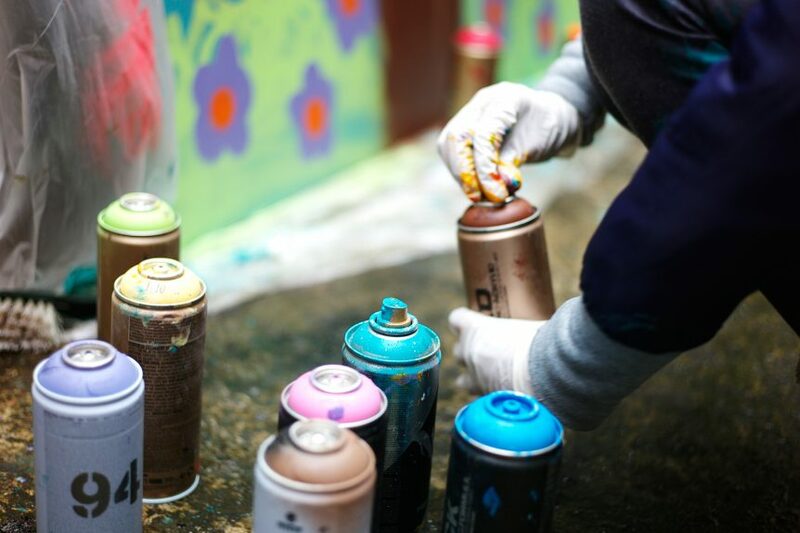 A group of young people (11 to 15 years old) from the refugee and asylum seekers community were involved in a 5-week spray art project led by street artist Friz. The group explored their identity in NI while developing new artistic skills such as pasting, stenciling, stickers, free hand painting and of course spray painting, which was definitely the activity they enjoyed the most. The teenagers loved the activity and are hoping to do more artistic projects in the future. NICRAS workers have also highlighted how this process has built up the group confidence and self esteem. The two final pieces are now proudly displayed in NICRAS’ main room so everyone can enjoy them!